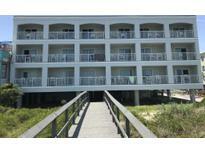 Below you can view all the condos for sale in the The Palms Hotel subdivision located in Isle Of Palms South Carolina. Listings in The Palms Hotel are updated daily from data we receive from the Charleston multiple listing service. To learn more about any of these condos or to receive custom notifications when a new property is listed for sale in The Palms Hotel, give us a call at 843-306-2224. ** The Palm Hotel is Fully Staffed and Provides Residents & Owners with a Swimming Pool, Continental Breakfast, and MLS#19002479. Keller Williams Realty Charleston. ** The Palm Hotel is Fully Staffed and Provides Residents & Owners with a Swimming Pool, Continental MLS#19002481. Keller Williams Realty Charleston. ** The Palm Hotel is Fully Staffed and Provides Residents & Owners with a Swimming Pool, Continental Breakfast, and MLS#19002475. Keller Williams Realty Charleston. The complex and all units have been through a full and complete renovation, completed in January of 2018. MLS#18018561. Keller Williams Realty Chas. Islands.